Add a sweet touch to your outdoor living spaces with these delightful little creatures! 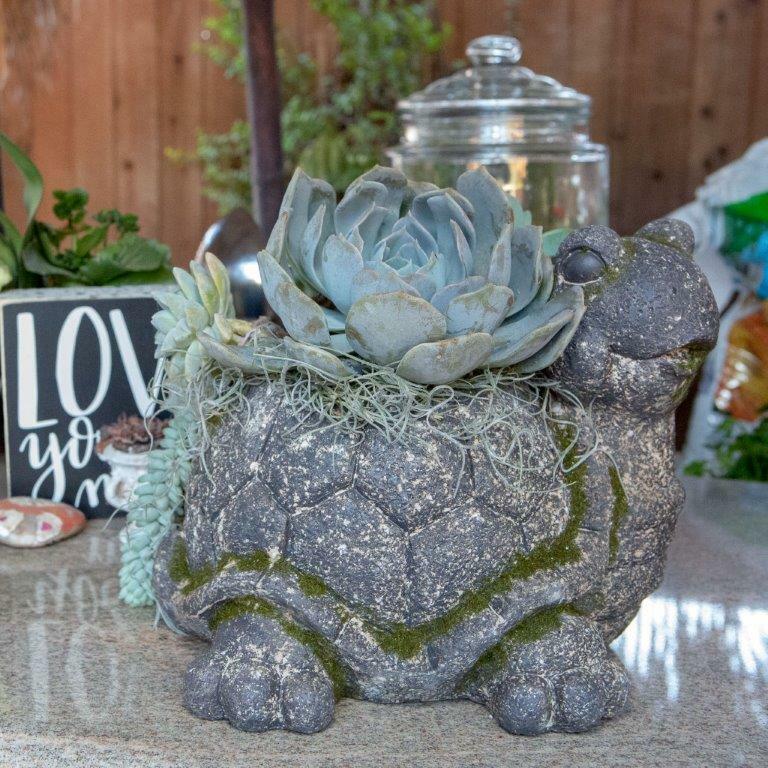 This moss turtle planter is perfect for outdoor tables, porches, decks, patios or doorsteps. Made of a durable magnesium oxide to look like stone with a bit of faux moss to give a natural, weathered look. Use with your favorite plants. 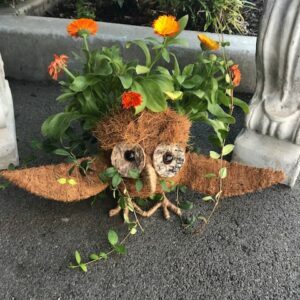 Truly an enchanting addition to your outdoor decor. 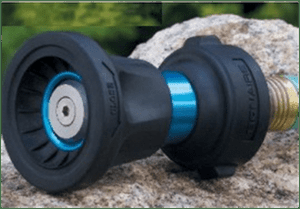 Outdoor or indoor use. Choice of Bunny, Snail, Turtle, Bird. Measures approx: 14″L x 7″W x 5-1/2″H. Take a peak behind the scenes!